Yesterday saw the Departure of the FGS Bonn from the dockyard. Today brought the arrival of USCGC Campbell. Campbell was last in Halifax back in Nov 2011. Us Budget constraints have reduced visits by US vessels in Recent years. Participating units from Canada are Her Majesty’s Canadian (HMC) Ships Iroquois, Preserver, Ville de Quebec and Windsor, as well as a 14 Wing Greenwood CP-140 Aurora aircraft and a 12 Wing Shearwater CH-124 Sea King helicopter. This specific exercise also aims to prepare HMCS Ville de Quebec to conduct pre-deployment training of a ship’s company in preparation for future naval deployments. 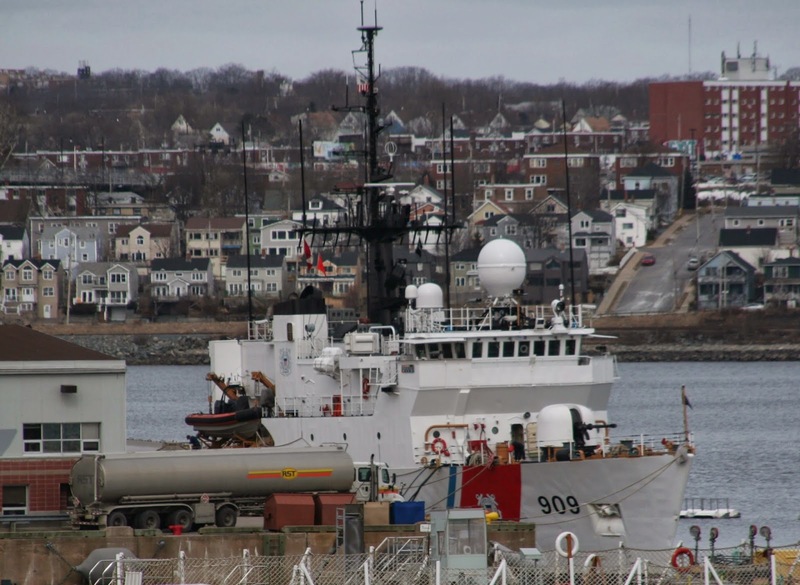 This entry was posted in USCG, visiting ship on February 26, 2014 by Peter Ziobrowski.